Oman-based Bank Sohar has launched a new social media competition focused on raising awareness on kids’ safety and wellbeing throughout their school day. The campaign covers various aspects such as healthy food, time management, safe commuting, exercising, and healthy sleep habits. The bank launched the contest on its official social media accounts including Facebook, Instagram, and Twitter using #KidsWellbeingCompetition. The contest observes10 questions over 10 days of engagement between the bank and its online audience starting on November 4, giving participants a chance to win shopping vouchers worth in total RO2,000 ($5,181) for 10 lucky winners. After the competition concludes, eligible participants will enter into a computerized draw where ten lucky winners will be contacted via direct message on the relevant social media platform for details on when and where to collect their prizes. 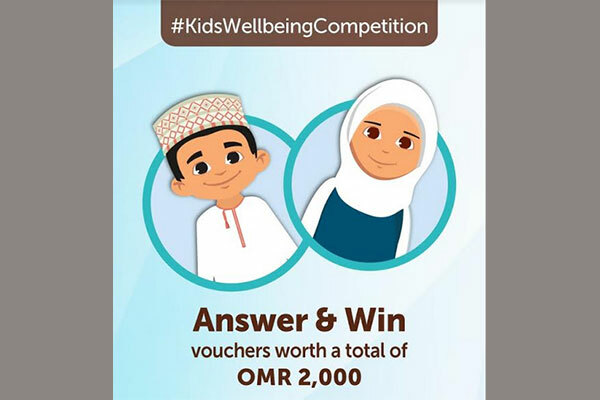 To become eligible, participants must follow Bank Sohar’s account on the social media network they wish to enter from whilst using the hashtag #KidsWellbeingCompetition to post their answers. Mazin Mahmood Al Raisi, senior AGM and head of Marketing and Customer Experience, said, “Building on the previous initiatives we launched to support local communities and empower individuals, especially children, we employed the modern means of communications to raise awareness in an engaging and exciting manner.